Last night’s premiere of The CW‘s new virus outbreak show Containment was definitely terrifying (in a good way). But what wasn’t terrifying was Chris Wood’s performance in the series as police officer Jake Riley. After playing our favorite villain Kai on fellow CW show The Vampire Diaries, Wood has made the jump to valiant hero and has officially joined the ranks of CW’s best. SheKnows chatted with Wood and got the inside scoop on all the random things you should know about this rising star and his new series. 3. Favorite exercise? “Baseball.” He even plays softball every week on a team. 13. What is the scariest thing, in your opinion, about the future? “That technology will evolve so much that it attacks us.” No, not deadly virus outbreaks. 15. Tell a story about a scar you have and how you got it. “I was making a blackened chicken pizza for some friends and splashed cooking oil on my arm. So I had really bad burns.” He said that it took him about two months to heal. 28. Tell us one spoiler from the show. “There will be an unexpected death.” And by unexpected death, he means a Game of Thrones-style unexpected death. Containment airs Tuesdays at 9/8c on The CW. 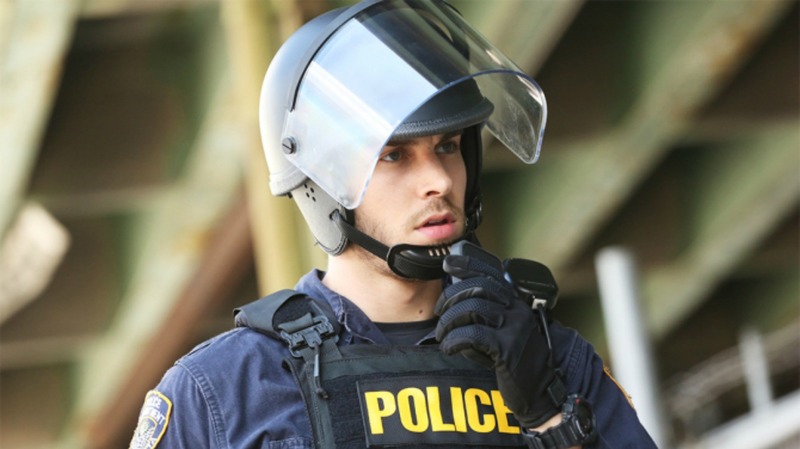 What did you think of the first episode of Containment? Will you keep watching?